If your looking for a central location with lots of shops, cafes, restaurants and various other facilities all on your doorstep than any of these areas are ideal for you. At one time they were individual villages, but now they are pretty much all joined together and have become the most popular place to stay in Santorini. The three villages are perched on top of the Caldera with fantastic views across the Aegean, this was the number one choice for visitors until the likes of Oia and more recently Akrotiri started to develop its tourist accommodations. 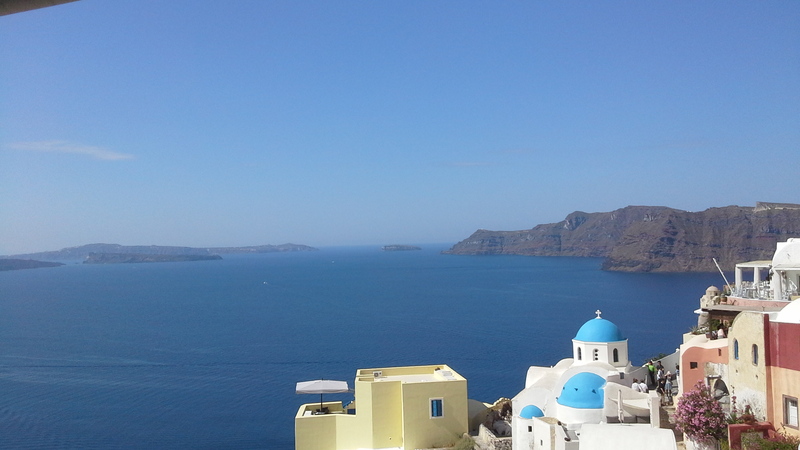 Oia has become the number one choice for a stay on Santorini. This once tiny village has now developed into a beautiful tourist destination attracting millions of visitors from all over the world every summer. The area has some of the most luxurious accommodation available, many feature spectacular Caldera views with infinity swimming pools. In the village has a good selection of shops, cafes, restaurants and bars which are very popular each evening come sunset. 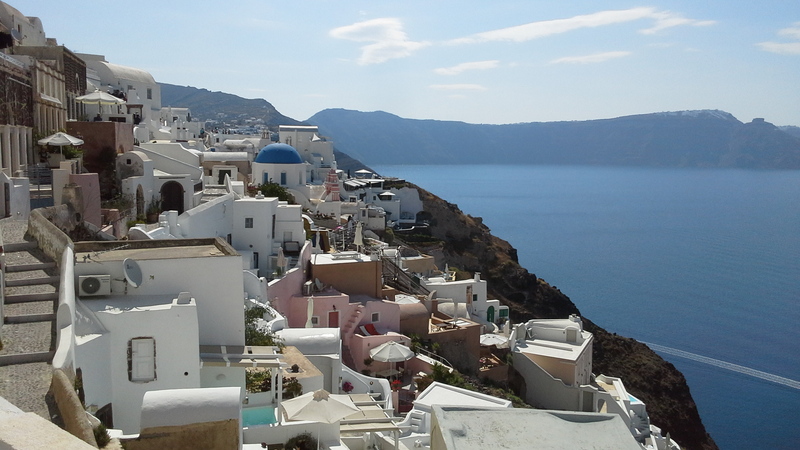 Oia is regarded as the most attractive village on the island and for very good reason, its the perfect choice for anybody visiting the island for the first time. If your looking for a more traditional style of beach holiday destination then the resorts of Kamari, Perissa and Perivolos may be a good option. Kamari is located on the east side of the island and offers a long black volcanic beach with good bathing facilities and a vast choice of restaurants. 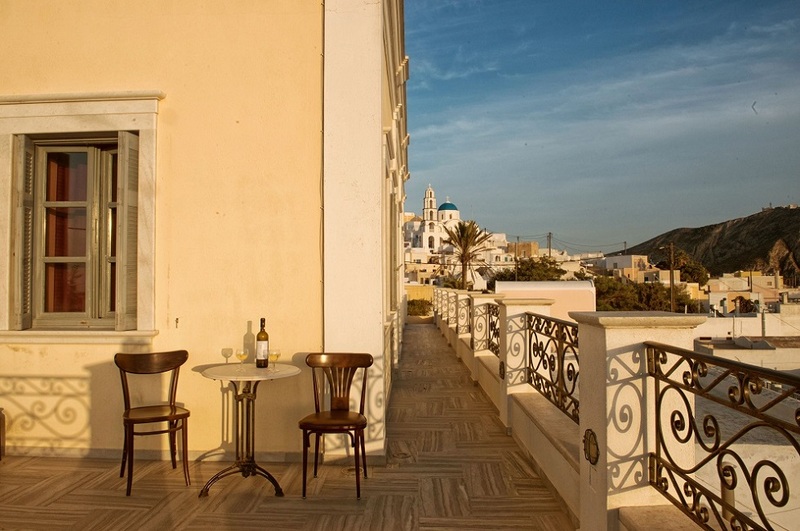 Perissa and Perivolos are located to the south of the island, each offer good tourist facilities with and the beach here is also good for swimming with many beach side restaurants/bars. This area has had a lot of very recent development and is quickly becoming the top choice for vistors to the island. Located to the south of the Caldera which gives some of the best views to be found on this amazing island. At this time a few restaurants are in the area and further south in the small beach area next to the ancient remains of Akrotiri a few good quality local fish tavernas can be found. 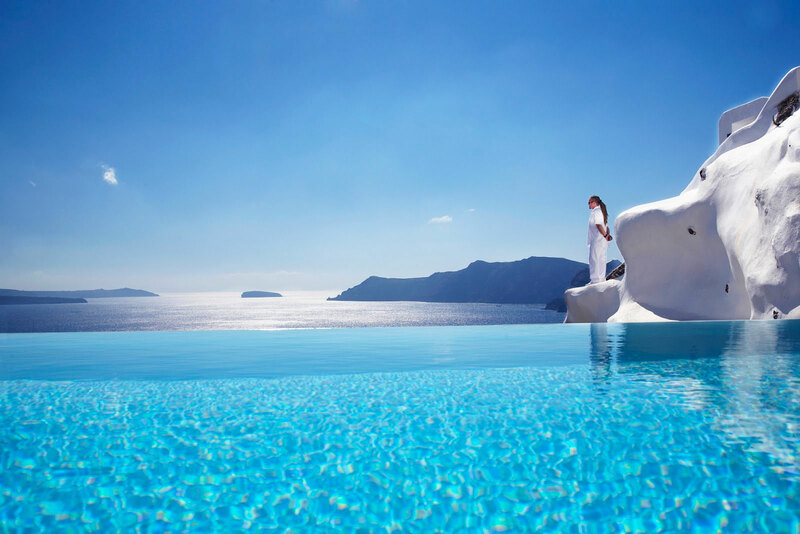 Akrotiri is a good choice for a holiday in Santorini as the accommodations are new and built to very high quality, also the prices in this area are more sensible than you will find in Oia or imerovigli. The island has many attractive small villages that offer the visitor a different style of holiday experience. Here you can holiday side by side with traditional village life, visit the local baker or enjoy a snack in the bar with some of the villagers. However, most of the larger villages have now been touched by tourism with a selection of small craft shops, a couple of stylish cafe bars and of course a number of quality restaurants restaurants to add to the village tavernas. Many villas or village houses have undergone very stylish renovations which make this style of holiday very atmospheric, also some very interesting Cave Houses are available if your really looking for something a little different.